Plumbing problems of any kind are not fun to deal with. Drain issues, in particular, though, can be frustrating. Depending on which drain in your home stops functioning, you may find yourself unable to use your kitchen fully, take a shower, or wash your hands in the bathroom. None of these potential scenarios are pleasant. Cold winter weather is the worst for pipes and drains. 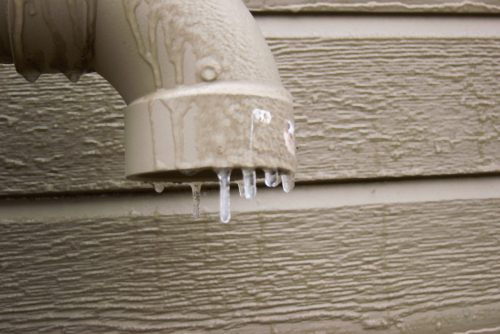 Chilly temperatures can lead to a variety of problems, including frozen pipes that directly affect the drains in your home. In the following paragraphs, you will see some steps you can take to avoid a drain emergency during the winter months. If your home has pipes in an unheated basement, attic, or other space, make sure it gets insulated before winter weather arrives. Wrapping these pipes in pink insulation or foam board can be effective, but make sure you consult with an expert before doing anything. He or she will know what the best option for your particular type of piping is. You may also want to run a small heater in these areas on nights when the temperature is going to be sub-zero. Just make sure to turn it off in the morning; otherwise, you run the risk of costly utility bills! Be aware of pipes in exterior walls. Make yourself aware of any pipes that are located in your home’s exterior walls, as they will have little protection from frigid outdoor temperatures. Although it is best to avoid putting pipes in exterior walls, sometimes it is unavoidable, particularly in historic houses that have been renovated and updated over the years. As these pipes are prone to freezing, know where they are so you can test them whenever the weather gets especially cold. Leave cabinet doors open overnight. When you know the weather is going to be well below freezing overnight, open the cabinet doors beneath the sinks in your kitchen and bathrooms. This will allow extra heat to reach the pipes, ultimately preventing them from freezing and keeping your drains fully functional. This is an extremely simple, free way to prevent potentially pricey plumbing repairs. Let water drip from faucets overnight. This tip goes hand-in-hand with the previous one. On your area’s coldest nights, when you open your cabinet doors, also leave the faucet dripping just the slightest bit. This will keep some water running through your pipes and drainage system, stopping them from freezing. It should not increase your water bill by any noticeable amount, as the stream will be so small. Regular residential plumbing maintenance is essential if you want to avoid frozen pipes and dysfunctional drains in the wintertime. Give Boston Drain Company a call if you haven’t been having annual inspections and we will get you on our calendar as soon as possible. Our drain cleaning professionals will make sure your home’s drainage system is working well and will give you tips for keeping it in excellent shape all year long. 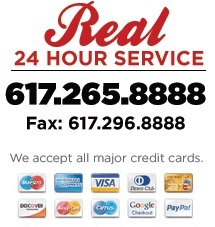 If any issues are discovered, we will take care of them for you so you don’t have to worry about further issues.